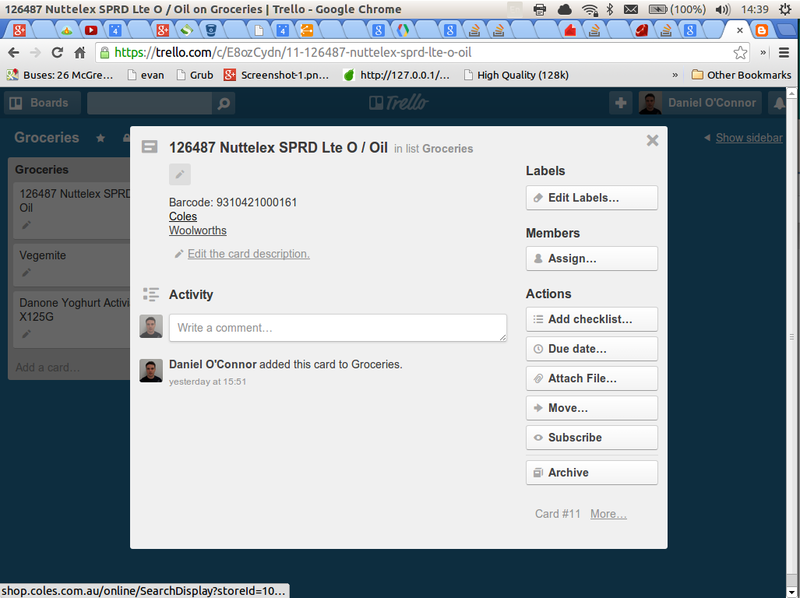 Daniel O'Connor: I got Oscar, a barcode scanning shopping list app working! 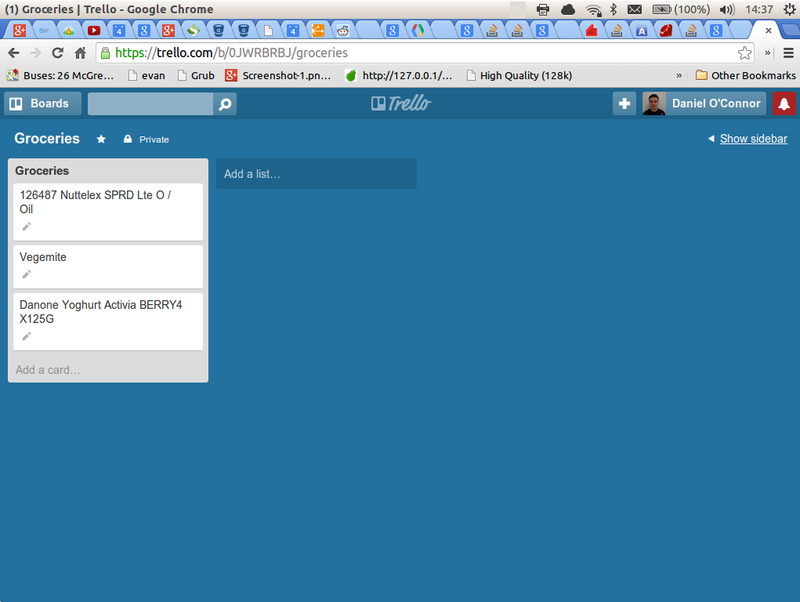 I got Oscar, a barcode scanning shopping list app working! 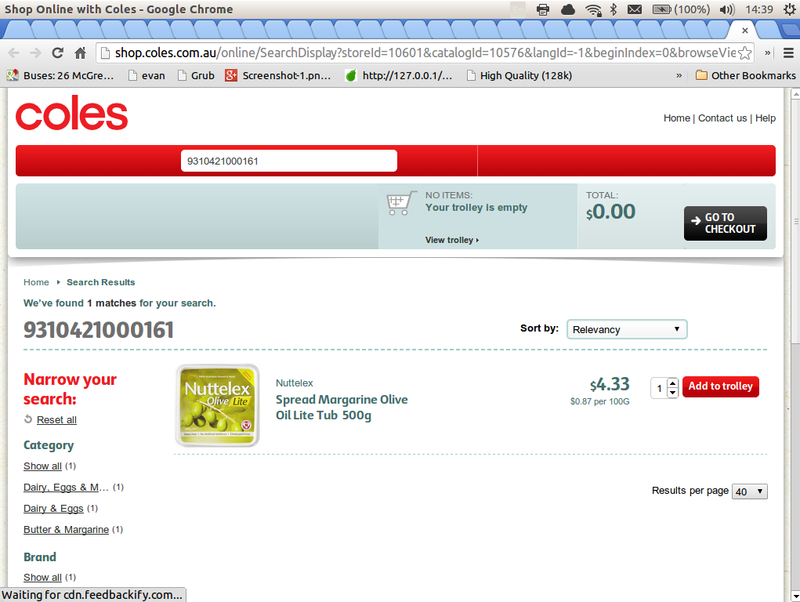 I've hacked it a little bit to add Coles online/Woolworths online support. 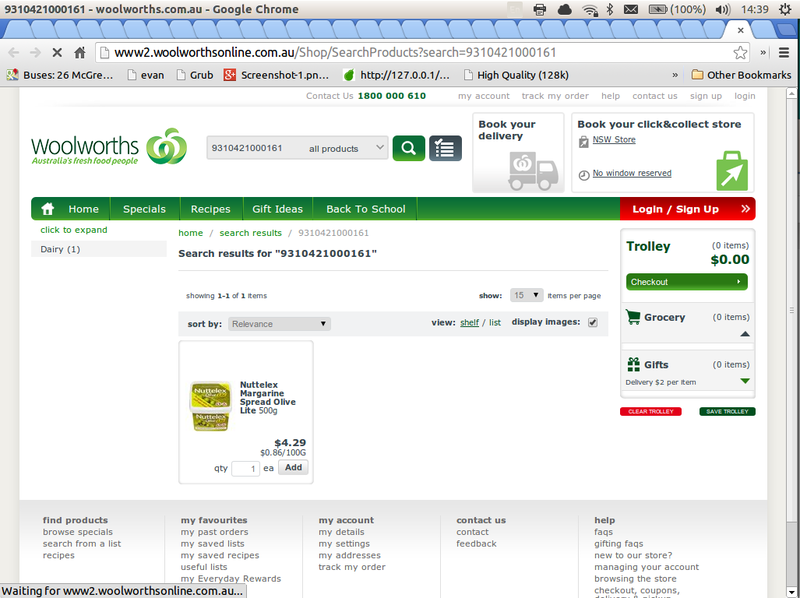 There needs to be a better way to add multiple different items to a cart via the woolworths/coles UI, but shopping is now a matter of clicks from a list assembled during the week. Needs more refactoring to add different providers via configuration; and I've removed the description rules - I found them to be hopeless; matching anything with the word 'milk' as 'milk'. I also want to point at different barcode providers, and possible make a once click 'export all my barcodes and share' capability, so one new barcode is everyone's new barcode entry; but that'll come later.